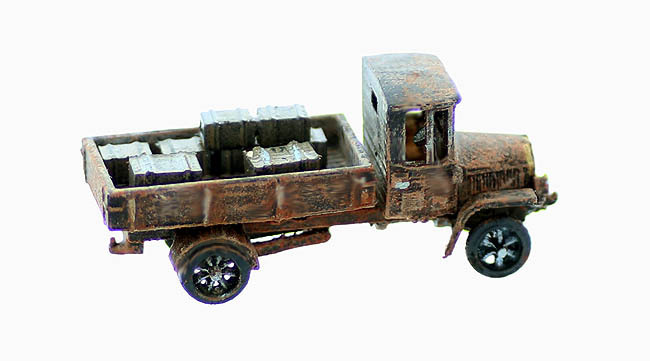 If you enjoy old time WORK TRUCKS this is a beauty ! 1920's-30's era Classic open bed hauling / work truck. This is nicely detailed N scale Model kit. 3 piece main construction....it doesn't get any easier ! 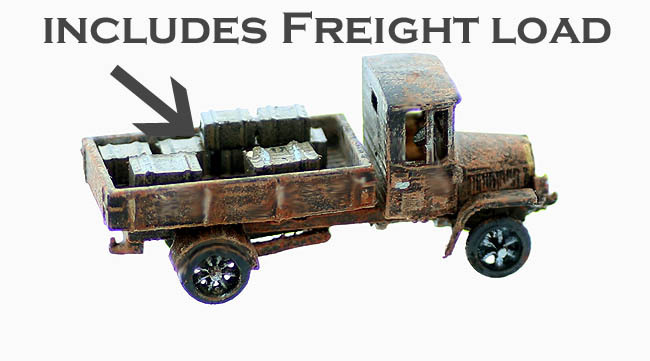 Also Includes Freight Load to detail the bed or add your own load to fit your N Scale scenes. OUR SUGGESTED glue is below on this page..it's the glue YOU SHOULD be using to model with !